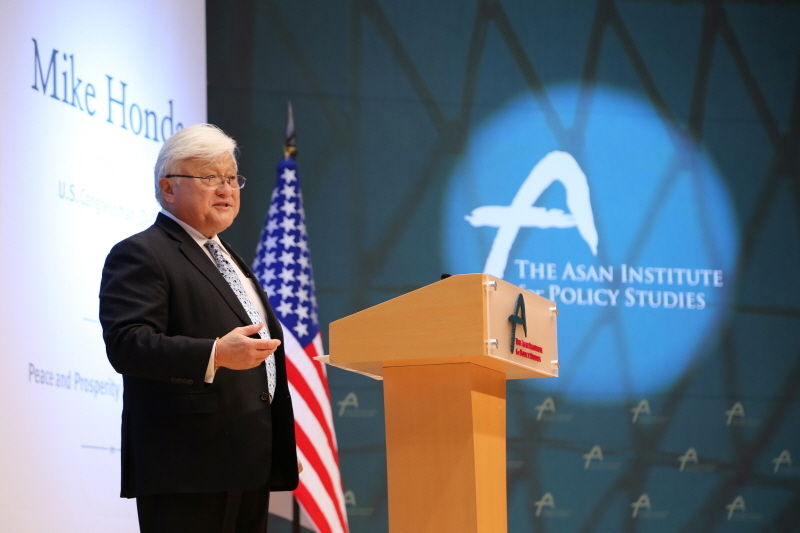 The Asan Institute for Policy Studies hosted Congressman Michael Honda on Friday, December 19, 2014. During the event, Rep. Honda discussed how to achieve peace and prosperity in Northeast Asia covering South Korea’s reunification policy, ROK – US relation and creative economy. U.S. 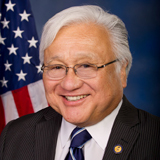 Congressman Michael Honda represents the 17th Congressional District of California and has served in the U.S. House of Representatives for over twelve years. In Congress, Rep. Honda is a member of the powerful House Appropriations Committee, Chair Emeritus of the Congressional Asian Pacific American Caucus, Co-chair of the Democratic Caucus’ New Media Working Group, and House Democratic Senior Whip. Rep. Honda’s district includes Silicon Valley, the birthplace of technology innovation and now the country’s leading developer of green technology. He has dedicated his life to public service and is lauded for his work on education, civil rights, national service, immigration, transportation, the environment, and high-tech issues. Rep. Honda served as a California State Assembly member, Santa Clara County Board Supervisor, San Jose Planning Commissioner, San Jose Unified School Board Member, Peace Corps Volunteer in El Salvador, and with over 30 years in education as a teacher, principal and school board member before the federal congress. He received a B.A. in biology and spanish and his M.A. in education from the San José State University.